Today in Amsterdam, architects and designers from across the globe are gathered for the 11th annual World Architecture Festival. The festival includes an awards ceremony recognizing achievements in 31 different categories, including awarding a World Building of the Year. 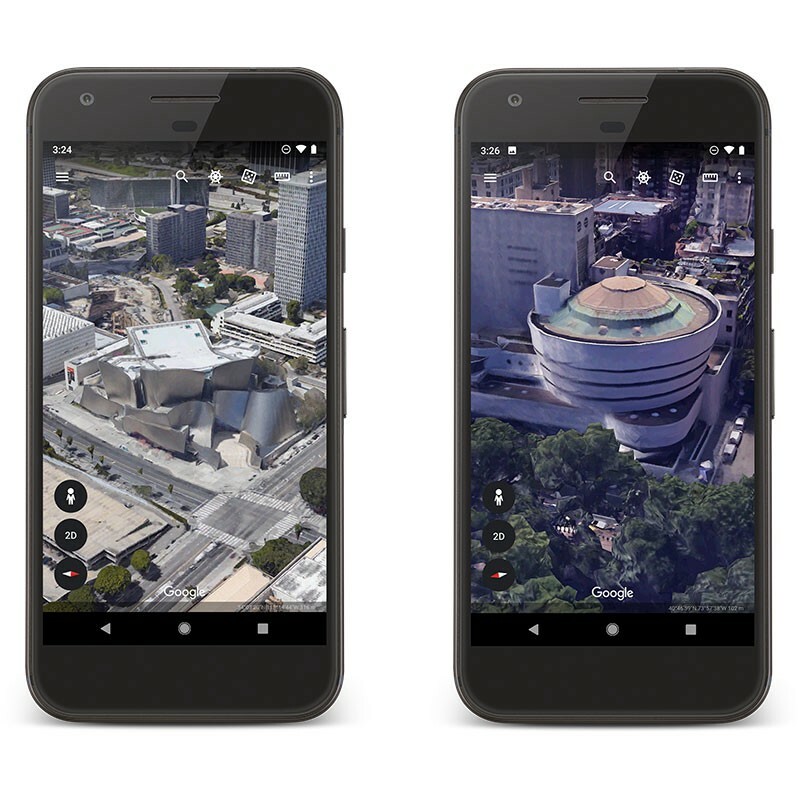 We can think of no better time to explore the work of some of the world’s most distinguished architects rendered in 3D in Google Earth. Start your tour with the works of Zaha Hadid, the first woman to win the prestigious Pritzker Architecture Prize. Her distinctive swooping style earned her the monikker “Queen of the curve,” from The Guardian. 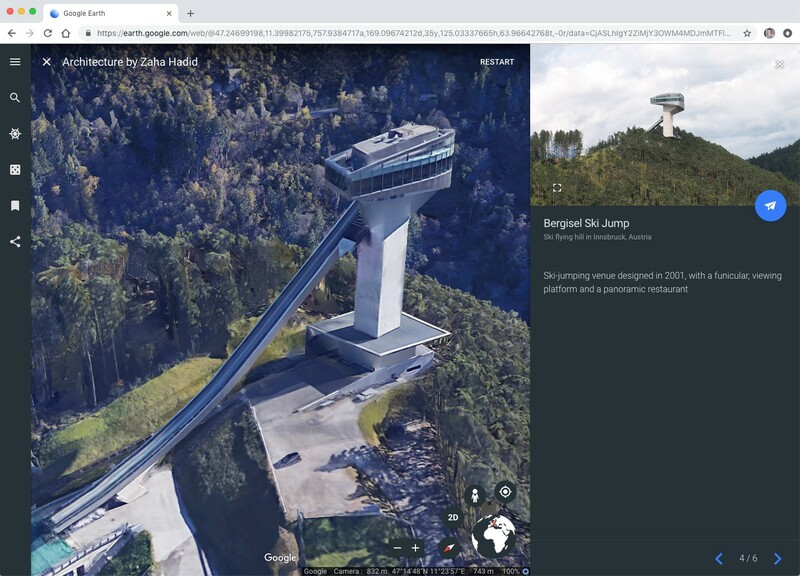 The Bergisel Ski Jump is an especially daring design. Next, explore the works of two of architecture’s most notable Franks — Frank Gehry and Frank Lloyd Wright. While their styles couldn’t be more different, from the whimsical curves of Gehry’s Walt Disney Concert Hall in Los Angeles to Wright’s measured spiral of the Solomon R. Guggenheim Museum in New York City, they’ve both made indelible contributions to the architecture world. 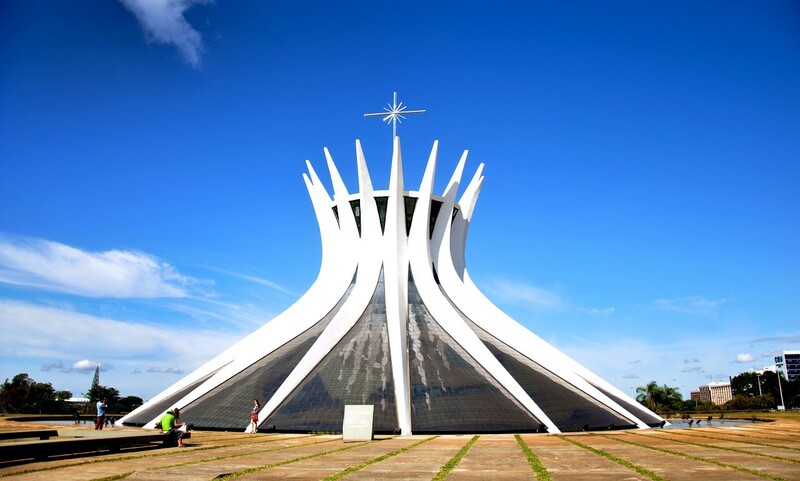 For something a bit more unusual, travel to Brazil to see the Futurist designs of Oscar Niemeyer or to head to Europe to explore the natural forms designed by Santiago Calatrava. 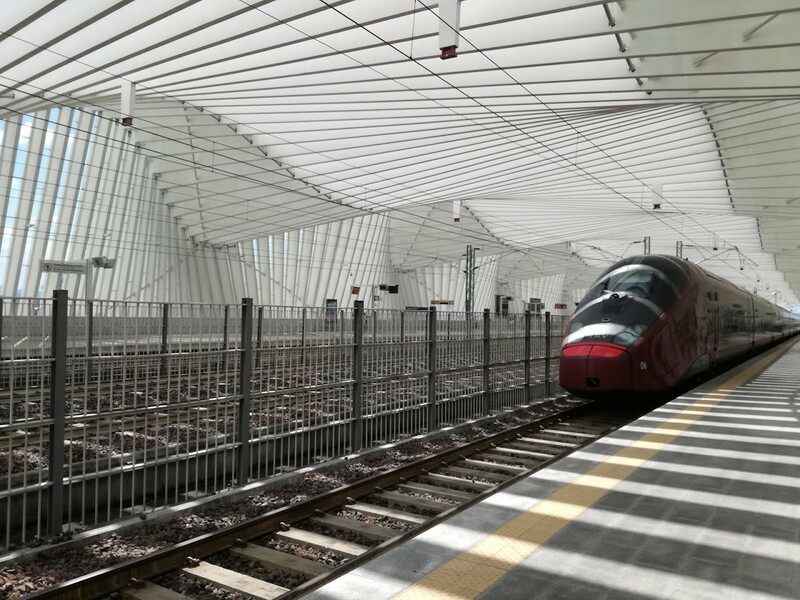 Finally, learn how architects have drawn inspiration from the natural world with a study of biomimicry in architecture. 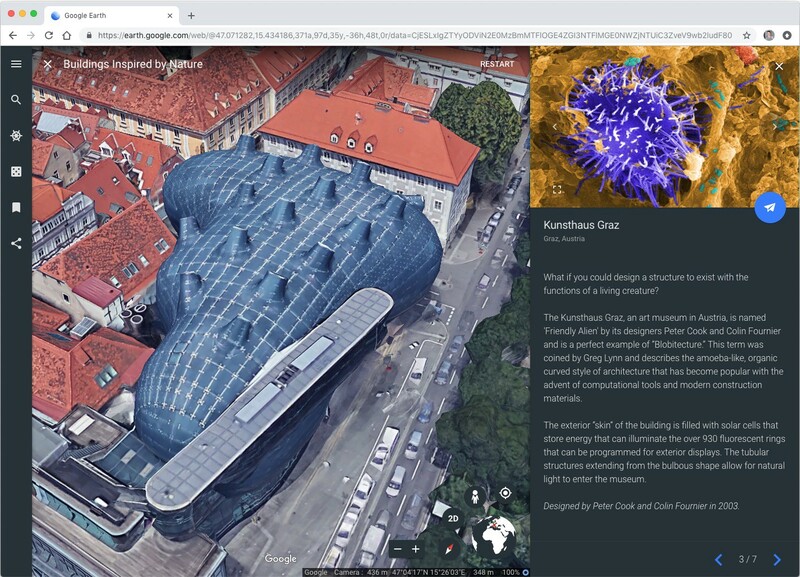 Shown below is an example of a building that can thank the humble amoeba for its design.